With a wide range of fascinating destinations to choose from, our programme of school geography trips will enable your pupils to discover the exciting world of geography outside the classroom. 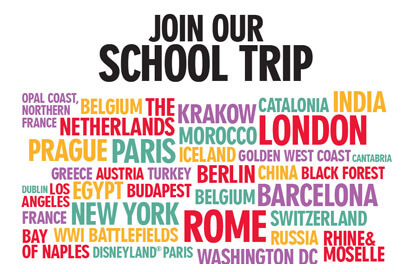 Each destination has been chosen with your school curriculum in mind. 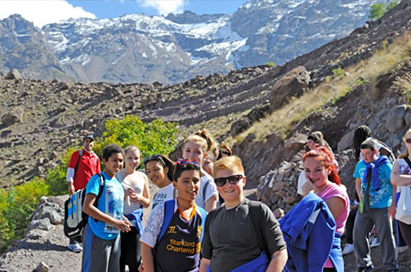 Therefore, whatever your learning objectives, we have a range of geography trips to suit your needs and your budget. So, where shall we go? Where better to take your pupils on a geography and geology school trip than the place where the observations of the great English geologist, Charles Lyell, gave the basis to the modern geology, the Bay of Naples. A geography tour to Disneyland® Paris offers a highly original and fun way to deliver the concepts of industrial location, globalisation, cultural diversity and tourism. On a geography tour to the French Alps many NST school groups choose to study the impact of skiing on the fragile landscape, along with taking hands-on measurements of rivers, sediments and vegetation and learning about how alpine hazards are managed to create a thriving economy. Take your pupils on thrilling Icelandic geography visit and bear witness to rare phenomena, from dramatic volcanic lunar landscapes and spouting geysers, to diverging plates, glaciers, and outwash plains. 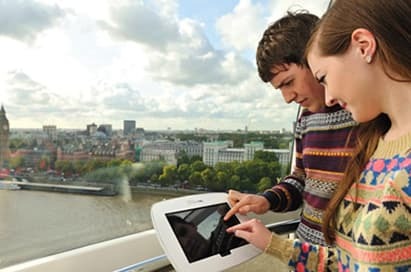 Packed full of enthralling visits and attractions, a geography school trip to London provides a massive range of geography visits that will excite, inform and educate your group. Morocco offers a vibrant and unique blend of European, African, Arabian, Colonial and Berber! Marrakech in particular allows geography students to study market functions and tourism management, as well as water management issues and deserts of the surrounding arid landscape. A geography school trip to Sicily provides a great opportunity for groups wanting to study key themes at GCSE and A-level, including volcanic activity and coastal processes and the resulting formations. This island offers superb geography visits including Mount Etna which provides an excellent case study to expand upon back in the classroom. 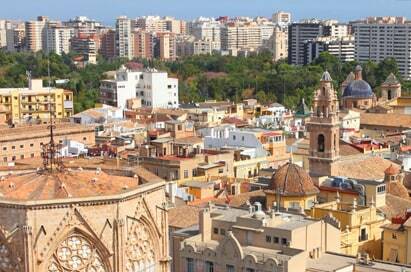 On a visit to Valencia students can consider coastal processes and landforms, tectonic processes, ecosystems and the impact of tourism and sustainability. A geography school trip to the Bay of Naples provides a great opportunity to study key themes at GCSE and A-level, including tectonic processes, tourism, hazard management, coasts and industry. 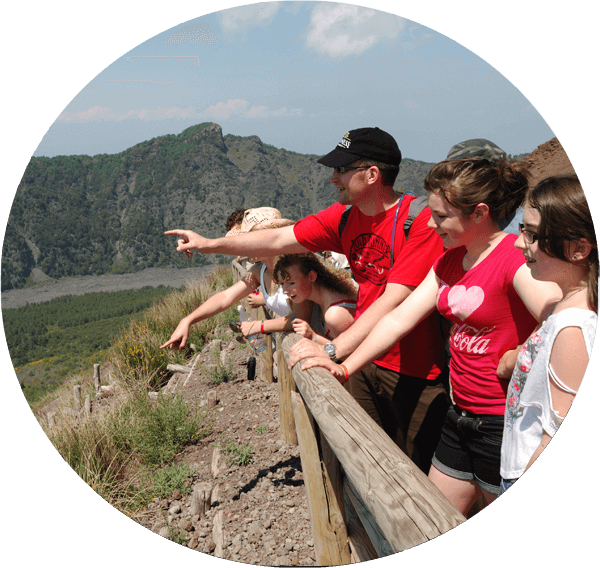 This exciting geography field trip programme includes visits to Pompeii, the Phlegraean Fields, Capri and the Amalfi Coast - not to mention Mount Vesuvius! For pupils studying the ongoing impact of glaciation and vulcanicity, a geography trip to Iceland provides a unique opportunity to witness a rare phenomena, from dramatic volcanic lunar landscapes and spouting geysers, to diverging plates, glaciers, and outwash plains! Our geography school trip highlights include the Blue Lagoon, Golden and South Circle Adventure and the Northern Lights. Equipped with first-hand knowledge of the culture, climate, history and subject knowledge of geography and geology, our expert guides will assist with programme delivery, tailoring your group’s experience to suit your specific learning needs. Your guide will contact you ahead of your geography trip for a pre-tour discussion, assist with teaching, guiding, and practical investigation, whilst also providing advice, support and assistance with on-tour logistics. Our Field Studies Guides are available in Iceland, the Swiss Alps, the French Alps, the Bay of Naples, Sicily and Northern Ireland. 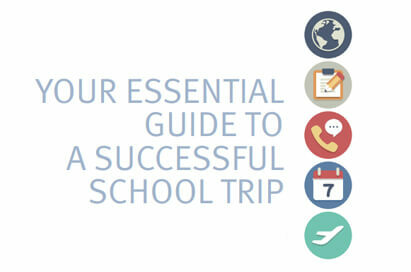 If you're planning your first geography school trip, our essential guide will take you through each step of the process. Our risk assessment guide aims to help you understand more about your obligations and how you can more effectively manage group safety on your next educational visit and provide you with risk assessments for your trip. 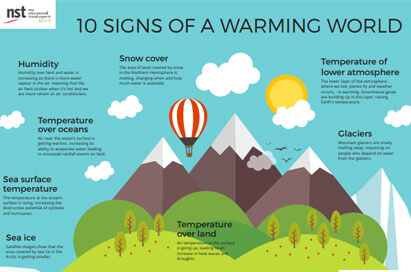 Plus, we can provide you with specific risk assessment templates for geography tours to Iceland, the West Coast USA, the Bay of Naples, the Swiss Alps and French Alps – helping to make planning your trip easier for you. 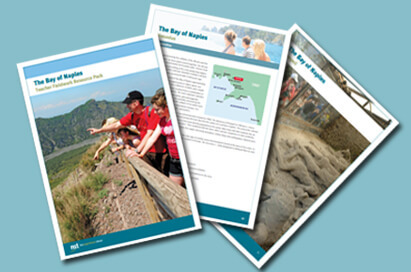 Developed by experienced geography teachers, our free educational resource packs contains a wealth of information for use before, during and after your tour and are suitable for a range of levels including GCSE, AS & A2. You can view samples here. 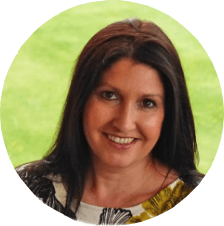 Your dedicated geography tour co-ordinator will use their unrivalled local knowledge and expertise to create a tailor-made, curriculum-linked itinerary to meet your group’s exact need. 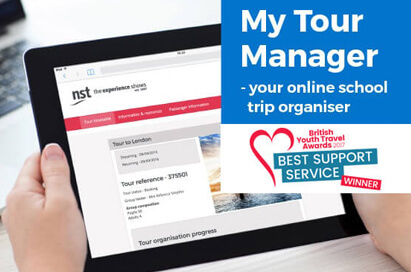 With our online school trip organiser, travel app, suggested kit lists for students travelling to the Bay of Naples, Iceland or Sicily, FREE classroom posters and geography trip launch resources to support in-school promotion. 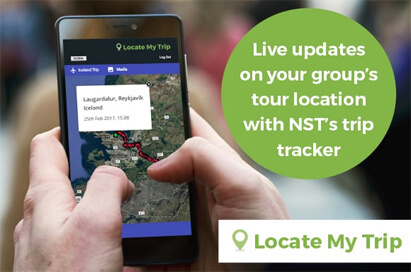 Equipped with first-hand knowledge of the culture, climate, history and subject knowledge of geography, NST’s team of specialist geography Field Studies Guides can assist with programme delivery to ensure your students have the best possible learning experience. Our risk assessment guidance will help you to manage group safety on your next educational trip. Plus, we can provide you with specific risk assessment templates for geography tours to Iceland, the West Coast USA, the Bay of Naples, the Swiss Alps and French Alps – helping to make planning your trip easier for you. "I would like to thank NST for a fabulous geography school trip to the Bay of Naples. Our students stated that it was a life changing experience." 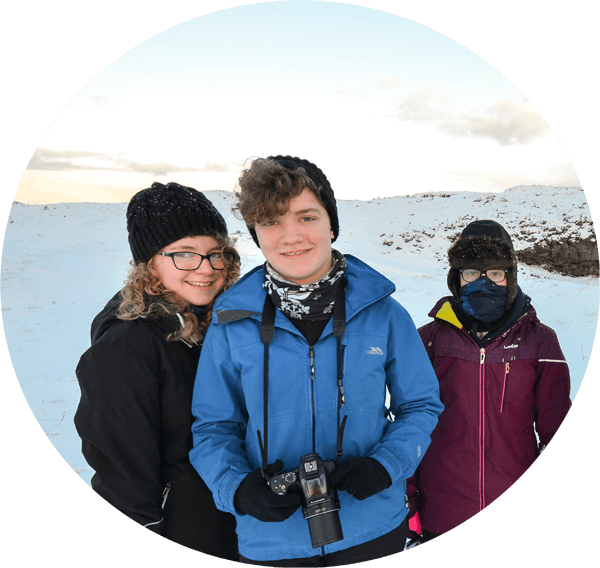 "This was the first time that we have organised a geography trip to Iceland. From the first minute, I have been delighted with the help and support from all of the staff at NST. They have all made my life so much easier and provided me with lots of information to help with our decision making. I cannot thank NST enough." 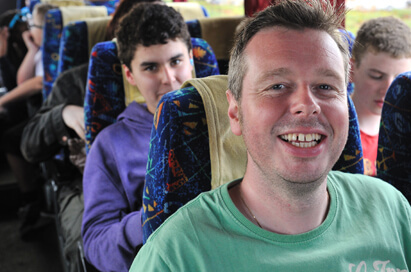 "Our Field Studies Guide, Rob, was absolutely excellent in every way during our geography school trip! 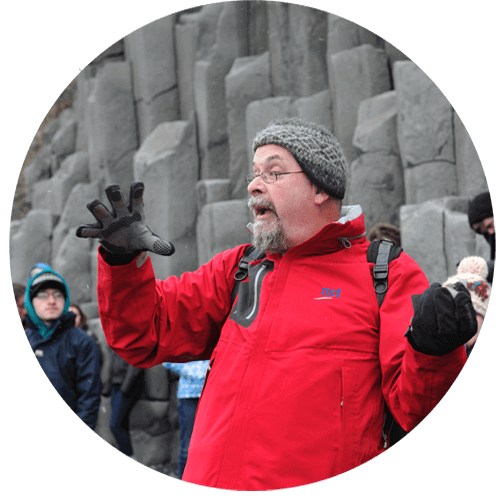 He was thoroughly knowledgeable about everything that Iceland had to offer." "Our Field Studies Guide, Claire, was truly excellent. A phenomenal asset to NST. Excellent knowledge, fantastic with the children and very skilled at thinking on her feet to ensure a faultless visit (including adding extra stops and re-ordering some stops to avoid major tourist traffic). Cannot praise her highly enough and would definitely wish to have her again on our next geography trip." "We have done a lot of geography school trips and had a number of guides, but Martin is up there with the best of them. Organised, good with the students, excellent subject knowledge and really engaged our students. He is a big part of the reason we would look to come back to NST again." "The students and staff thoroughly enjoyed our geography school trip to the Bay of Naples. The itinerary was fun-packed and educational. The students crammed in a lot in a short space of time."